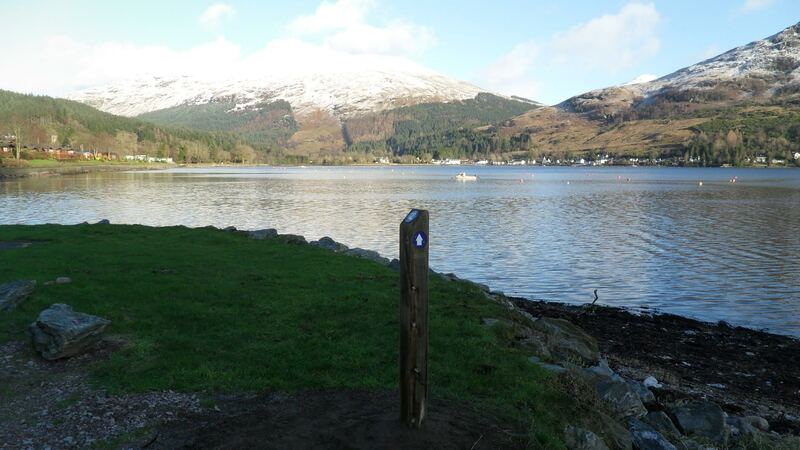 The Loch Lomond & Cowal Way is now fully waymarked (March 2016). 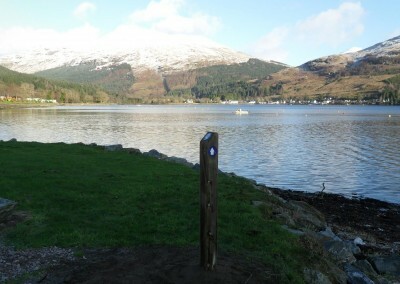 We have erected over 150 waymarkers. These were manufactured by Foresty Commission Scotland using home grown timber. There are also six section signs installed on the Loch Lomond & Cowal Way. 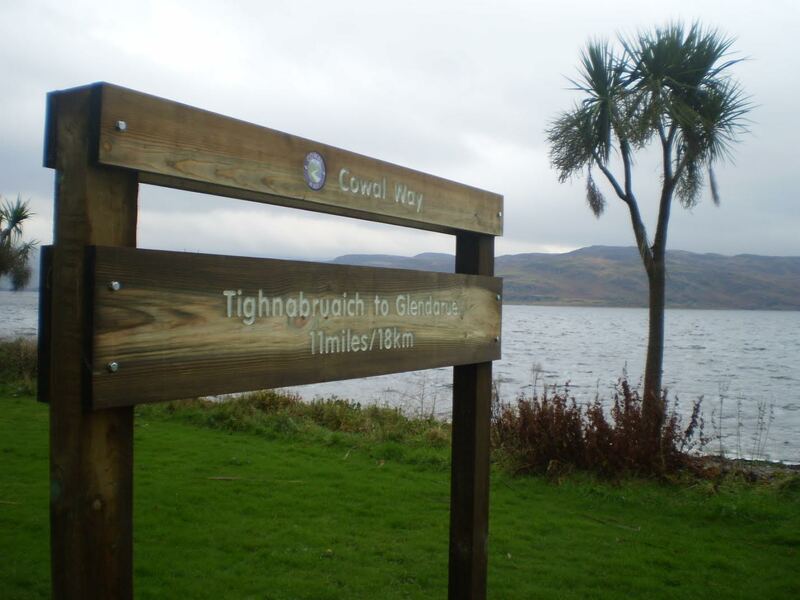 These were also manufactured by Forestry Commission Scotland and made from home grown timber.